About: A colorful rainbow of toilets, up high on the rooftops of Paris, on shop front shutters, and on the sides of trucks and vans. “Chiot” (French slang for toilet) works in a variety of mediums, always creating the same toilet rainbow. This artist represents a crossover between street and graffiti art. The manner in which he gets up is characteristic of the graffiti movement: all about reaching new heights and surprising people. Chiot uses a spray can freehand, playing upon graffiti elements, but taking his more developed imagery into the street art kingdom. He uses his trademark symbol, the toilet, as a logo instead of his name – a fairly new revelation in graffiti culture. Chiot also uses other mediums to produce the same toilet motif such as stamps, sculpture, and relief work. Regardless of material his work is consistently satirical, symbolizing the decay and rotting away of urban structures. 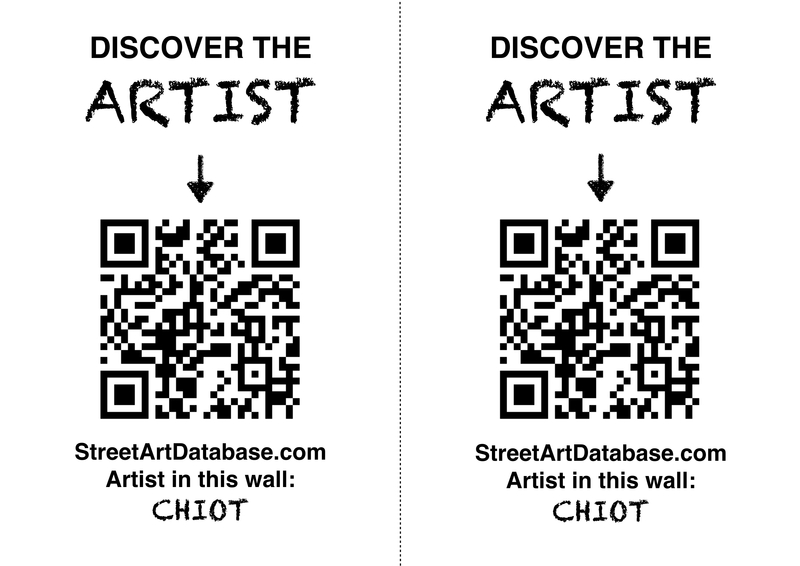 PRINT CODE: help tagging Chiot in the streets of your city!